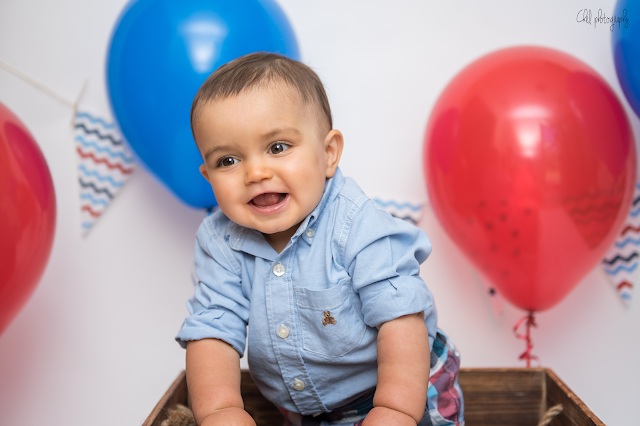 This was one of my favorite first birthday sessions to date! 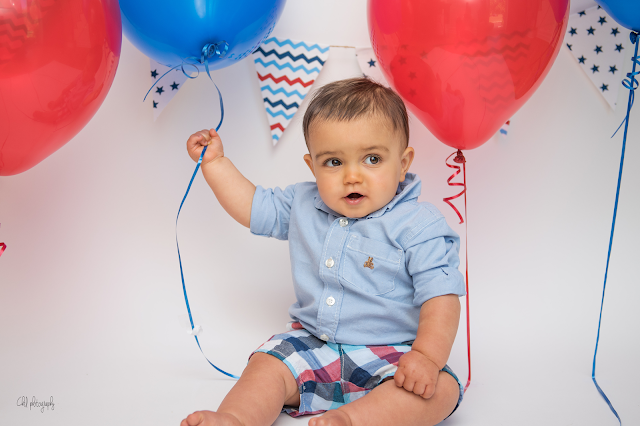 I have now had the privilege of working with the Herrmann Family three times! 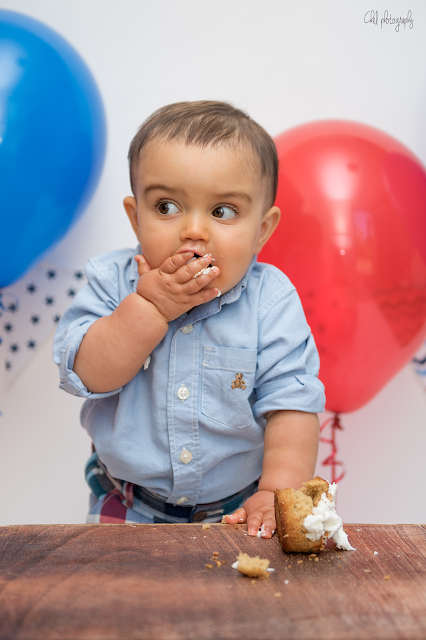 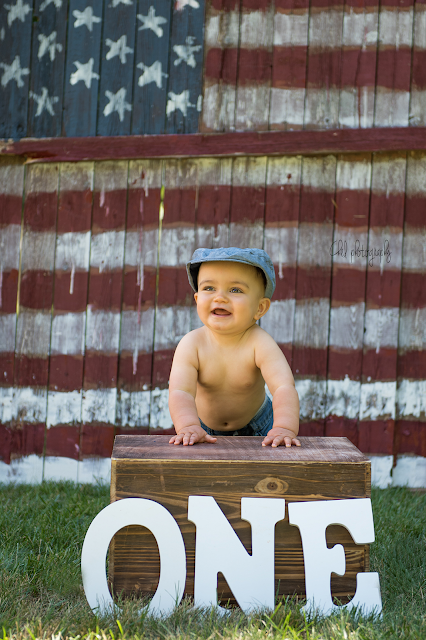 I photographed Owen's newborn photos, fall family photos, and now Owen's First Birthday. Owen was born very close to July 4th and the family was throwing a combined 1st birthday and July 4th party. 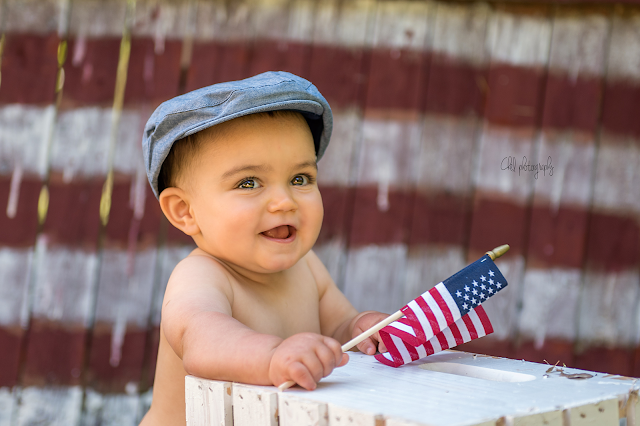 They wanted some nice patriotic photos to display at the party and to use for invitations. 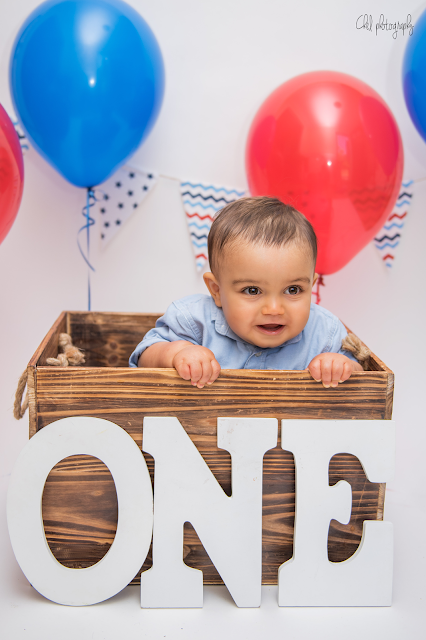 Mom made this session amazing! She painted a piece of fence that had broken off in the yard during a storm to use as our backdrop. It came out fantastic! The sliced watermelon was a great alternative to cake for these shots! 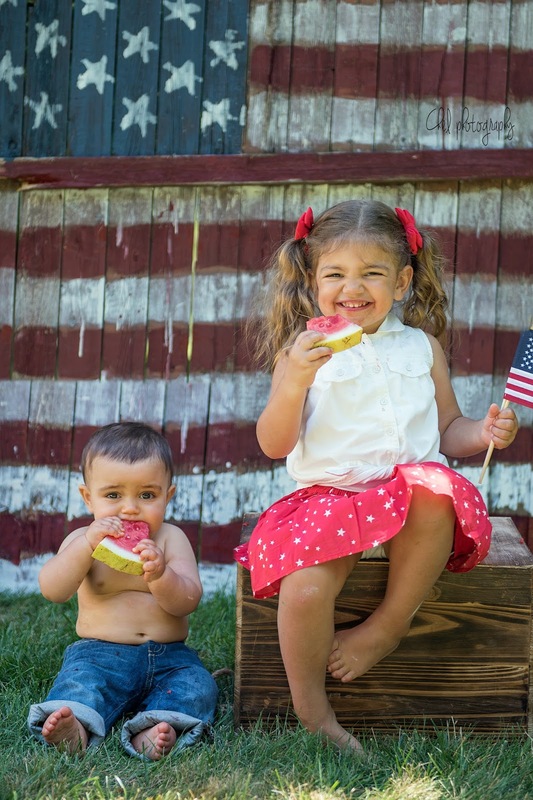 Owen's sister Paige jumped in for a few pictures, and I could not get enough of these two patriotic cuties! 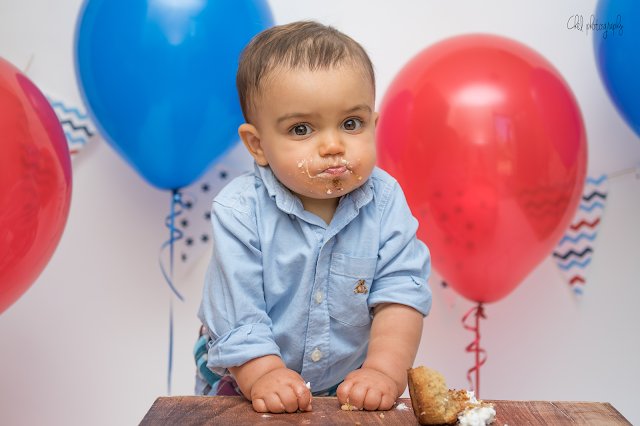 Afterward we did a few cake smash type photos inside. I love Owen's expressions in these photos! 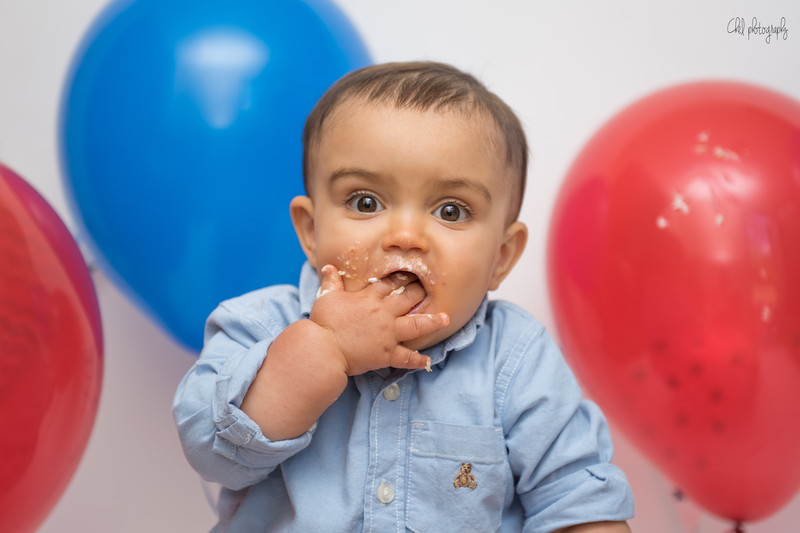 He was definitely not shy about shoving the entire cupcake in his mouth!